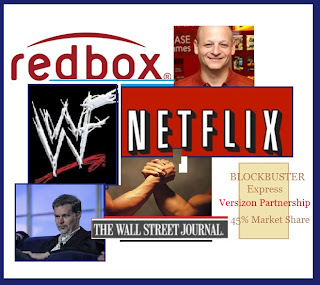 Cohn-Reilly Report: Redbox Fully loaded: Can Netflix Stay 1-Step Ahead ? Redbox Fully loaded: Can Netflix Stay 1-Step Ahead ? 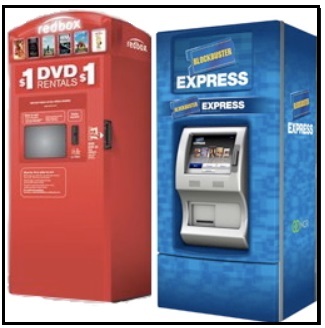 Redbox unearthed the details of a joint venture with Verizon Communication, which delivers the required infrastructure for streaming video service at (you guessed it) $8 per month, under the brand name, “Redbox Instant”. Although, this exciting new business division does not include movie downloads as yet. The anticipated venture comes on the heels of their announcement in March that it purchased NCR’s entertainment division for $100 million, hammering the nail in the Blockbuster Express coffin. Kudos to Redbox for its successful execution of its expansion plan, that brings them to a head-to-head competition with the Market Leader, Netflix. You may recall the of Summer of 2011, when Netflix's CEO (Reed Hastings) made the grave mistake of announcing their brilliant plan to separate the DVD Rental and Streaming Video business into two revenue streams. Charging $8.00 per month for each – essentially doubling the cost for customers who were enjoying access to both for only $8. The ill-fated plan was announced one moment and denounced the next, as customers made their feelings of disgust known. A mass exodus of 800,000 customers within a matter of weeks was an undeniable message to the business community that the Customer is Boss. By October, in response to the backlash, Hastings apologized to customers. He announced that the company decided not to separate the services for now, adding that they were moving too fast. Netflix reported a loss of 800,000 subscribers in the 3rd quarter of 2011. Since Analysts predicted a loss of only 600,000, the market reacted unfavorably with a swiftly decline of over 20%. The company warned of more defections and stated that they anticipate losses for the first quarter of 2012 as a result of expanding their business to Europe. Netflix did not anticipate the fast and furious decline in market valuation, eroding their stock price from its highs The $305 per share in July 2011 to below $53 by September. By the year's end, Netflix has lost a million subscribers in the aftermath. This costly business strategy turned out to be a public relations nightmare for Netflix, but an absolute dream for Redbox, waiting in the wings. Using the Netflix business model, Redbox came onto the scene quietly, but well prepared to gradually scoop up stray Netflix customers. Then the Netflix blunder created a glorious opportunity or “gift” for any company poised to take advantage of it……. that company was Redbox. The gift translated into instant market share and name recognition, as news coverage of Netflix’s new strategy made reference to Redbox in just about every report.Jusk think; a sizable number of displaced Netflix customers were now searching the net for a comparable alternative to the DVD and streaming video service. Redbox scrapped-up stray, and disgruntled customers for the first 90 days following Nextflix’s announcement. It’s quite possible that Redbox pulled in the entire 4% market share Netflix lost. As a business major in grad school, students learn a great deal about the world of business through reading piles of case studies and statistics about corporations that were successful versus those that folded. We learn that the fate and longevity of a product or service has a lot to do with originality or satisfying an underserved demand. In such a scenario, the first to enter the market with a new product idea or service is referred to as “Market Maker”, or “Market Leader”. The Market Leader holds an enormous advantage over those that follow in their footsteps. Research has shown that market leaders are likely to maintain the lion's share of the market for decades – unless the product or service becomes obsolete, such is the case (for example) with beepers. In keeping with this statistic, Netflix did eventually recover having lost 85% of their valuation, and approximately 4% of their business. Nevertheless, the Netflix blunder, nearly two years ago, served to kick-start the new-comer, Redbox. As unhappy consumers fled Netflix, the gift of market share was well received and now Redbox is ready for a new challenge – Streaming videos. 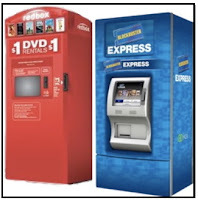 By December of 2012, Redbox had increased its market share to 45%¸ up from 34% the previous year. 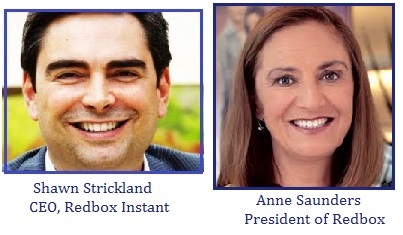 Redbox’s founder Gregg Kaplan, leaves his post as President and COO, passing the role of President over to Anne Saunders, and Shawn Strickland as CEO of Redbox Instant - who will hopefully continue with equally successful leadership. Well Netflix, “It is On”! You don’t have to be a market expert to conclude that this will be a battle for market share we haven’t seen since the early days of Coke and Pepsi. I look forward to the continued growth of Redbox, and hope the competition will inspire higher standards and consistently low prices. Redbox Instant, will be offered on the Roku box, and made available on Sony Playstation-4 consoles. Good luck Redbox, and may the force be with you! Check Out Our "News Flash" section. The Cohn-Reilly Report's Market News Flash. Provides Noteworthy Information and Comments About Domestic and Global Turn of Events, With Links to Interesting Articles. 2011 Local Heroes that Rock! 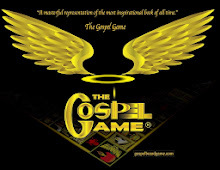 Makes for a Great Gift Idea: It's Spiritual, Educational and Just Plain Fun! Check Out the Website! "I always spent a half an hour to read this webpage's articles all the time, along with a cup of coffee." Weekly Analysis and Discussions with Special Articles and Posts from Guest Writers. Your Comments are Encouraged.